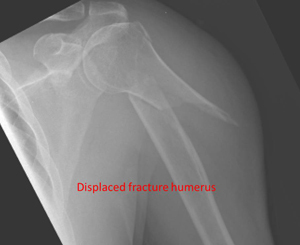 This very active 88 year-old lady sustained a displaced fracture of her humerus following a simple fall. 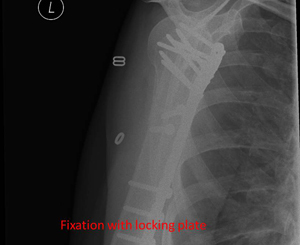 Fixation with a locking-plate allowed early return to function. 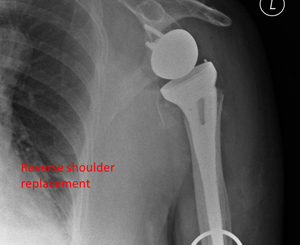 52 year-old lady with a displaced fracture of the proximal humerus requiring surgical fixation with a long locking-plate. 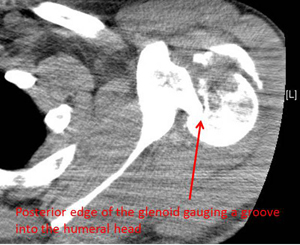 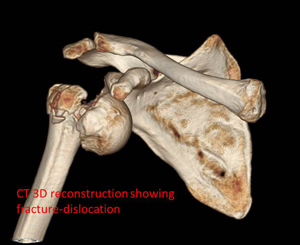 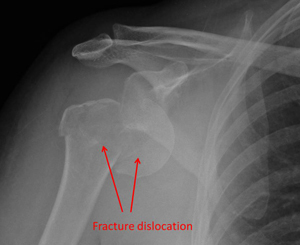 This man sustained a locked posterior fracture dislocation of the shoulder. 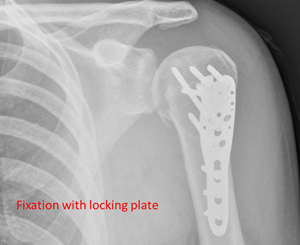 Open reduction and internal fixation with a locking plate. 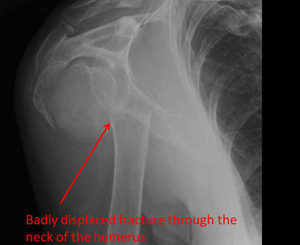 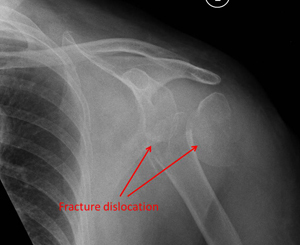 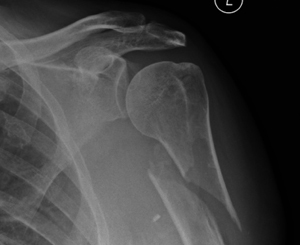 This elderly patient sustained a bad fracture-dislocation of the shoulder. 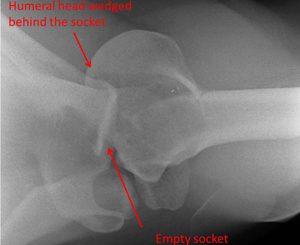 This was treated with a reverse shoulder replacement where the normal ball & socket joint gets converted to a socket & ball joint. 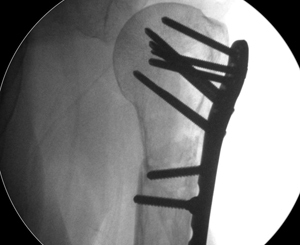 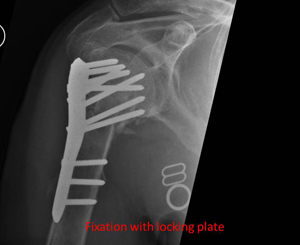 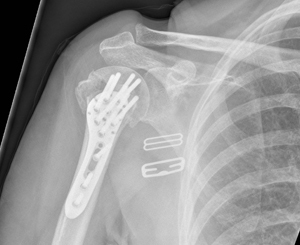 The fracture-dislocation of this patients shoulder was treated by open reduction and internal fixation using a Titanium locking-plate.